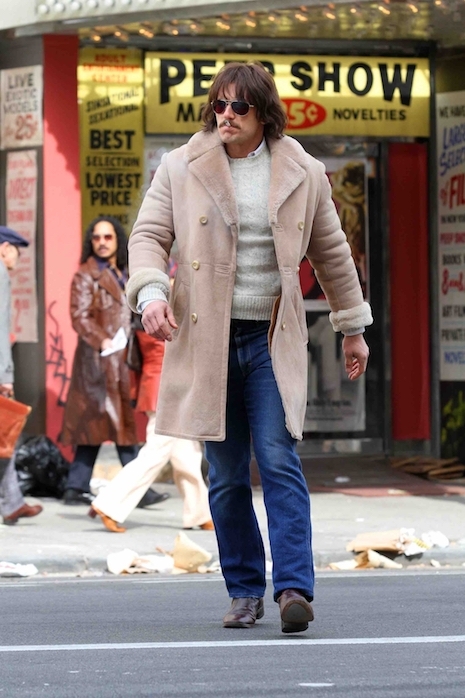 James Franco plays twin characters on The Deuce and this season both are sleazier than ever. That hair! That mustache! That COAT! (It appears to be a woman’s.) The second season just started filming in New York where a disreputable looking Times Square in the 70’s has been rebuilt. Franco was on a roll toward the Oscars with The Disaster Artist when five women accused him of inappropriate sexual behavior. Everything ground to a halt and Franco disagreed with his accusers, but didn’t outright call them liars. Whether the scandal ruined his chances for an Oscar nomination is unknown, but his did keep his job on The Deuce. The series producers investigated his behavior on the set and found no problems, so he’s back at work. And wiser, we hope. Is it Deuce or douche?